At the end of last year, I mentioned a few of my illustration goals for 2016. One of those was to open an etsy shop*. So for the next few weeks I’m going to be working on creating a range of products to eventually sell in my very own etsy shop! 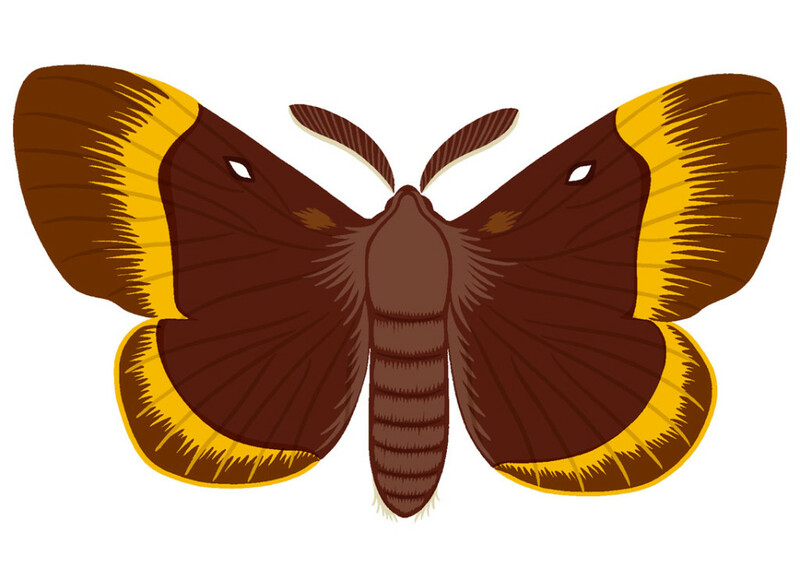 Each range will consist of a selection of cards and prints themed around a particular subject and the first of these will be illustrations of British moths (which goes some way towards explaining their abundance on the blog recently). As I’ve finished one already, you get a little preview now of the first in the series and at the end of next week I’ll show you another one. This one’s an Oak Eggar moth. *Etsy is an online marketplace where artists and makers can create their own virtual shop and sell their work direct to the public.